In the moment i prepare the image catalogs for PTF installation on our IBM i. 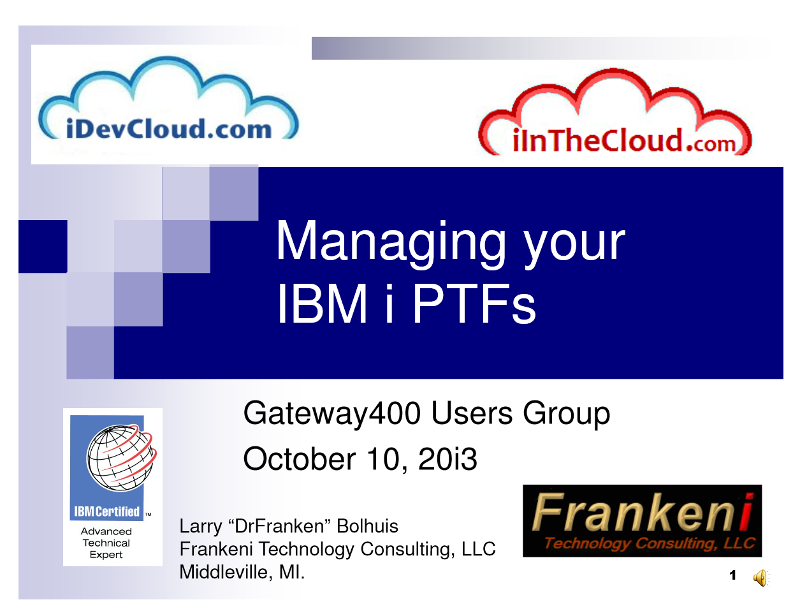 When i have searched for some info's on PTF's i have found a really great presentation about PTF Management on the IBM i. So if you want to know how PTF's on the IBM i work and what to do to keep your system running, i really recommend "Managing your IBM i PTF's" from Larry Bolhuis.